Perfectly located within walking distance of the Knysna Waterfront with its superb boutiques, restaurants and marina, Suite dMar is the ideal base from which to explore this beautiful town. Offering excellent value for money, this top floor apartment is newly built to a high standard. 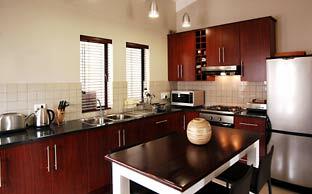 Light, spacious and airy, it features high quality furnishings, decorations and equipment throughout. Arranged on two floors, Suite dMar is cleverly designed and exceptionally stylish, offering a superbly fitted open plan kitchen/diner, comfortable lounge and two attractive bedrooms with ensuite bathrooms. 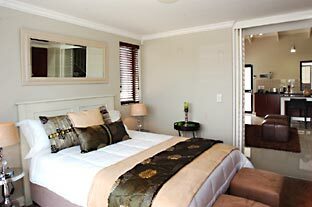 The apartment can sleep up to 4 people in 1 double and 1 twin bedroom. 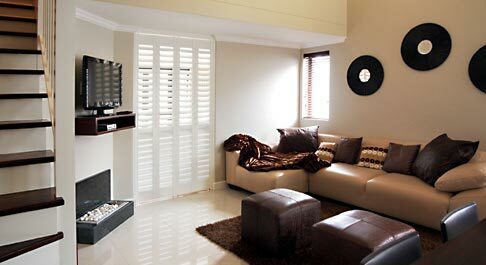 Bedroom 1 is accessed through louvered doors from the lounge area. It has a queen bed, balcony, ensuite shower room and built in wardrobes. Bedroom 2 is on the upper floor and features twin beds, an ensuite bathroom, built-in wardrobes and dressing table. The lounge area is beautifully furnished with leather couches, coffee table, flatscreen TV (with DSTV) and a delightful pebble gas fire. The kitchen/dining area features a hob, oven, extractor, microwave, fridge/freezer, kettle, toaster and dining table. A range of quality crockery, cutlery, glassware and utensils is also provided. The apartment has a designated, secure and covered parking bay on the ground floor. 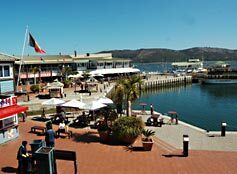 The Knysna Waterfront, with its shops and restaurants is just a short stroll away.